Born in Oban in 1943, Maureen Macmillan attended Oban High School. She obtained MA Hons in English at Edinburgh University and a Teaching Qualification at Moray House. Maureen Macmillan has been involved in Politics for 25 years. She was co-founder of Ross-shire Women’s Aid and returned to full time employment in 1983 as Teacher of English and Senior Teacher with an Equal Opportunities remit. She is a member of EIS and Highland Domestic Abuse Forum. 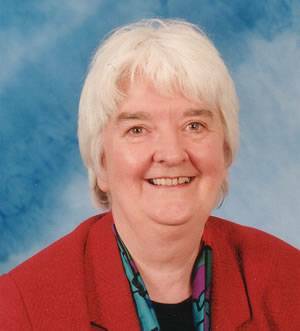 Maureen Macmillan was a Regional MSP for the Labour Party in the Highlands and Islands from 1999 until the recent dissolution of the Parliament. She has successfully lobbied for funding for Women’s Refuges in the Highlands – 4 new refuges are being built and was also the moving force in the passage of the first committee Bill of the Parliament – The Protection from Abuse Bill. Maureen Macmillan also worked to achieve concessions on water charges for small charities and the transfer of planning powers for aquaculture from Crown Estates to Local Authorities. Other areas in which she has been active include housing, aquaculture, justice, environment and transport. She is also chair of her local Community Council. Maureen Macmillan is married and has four children, two sons and two daughters.